There is nothing more terrifying, exciting, and nerve-wrecking than starting a new job and meeting your new co-workers. But, I must say, I got very lucky. 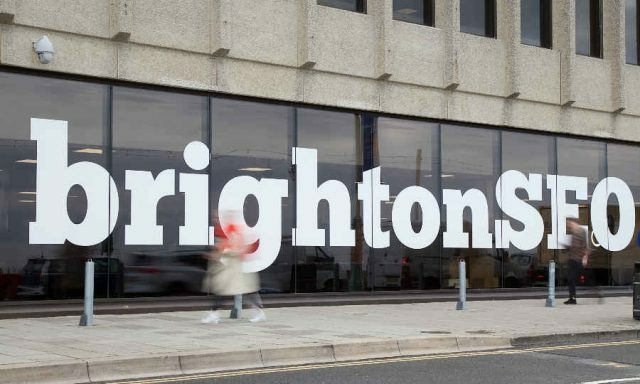 Exactly one week before I joined MintTwist, I was very kindly invited to head down to Brighton with the team to attend one of the most eagerly awaited events in the digital marketing industry – BrightonSEO. Every year, the hashtag #BrightonSEO trends nationwide, and for good reason. Hundreds of SEO gurus, content marketers, and web developers alike meet up in the beautiful seaside city to share their knowledge, learn from others, develop their skill-set, and broaden their minds. For me, this experience was a chance to get to know my future team-members while also getting a little extra motivation right before my first day at the office. I met my MintTwist team mates in the very busy Victoria station during rush hour. After a very formal hand-shake, we quickly started chatting about our plans for the weekend, what we had cooked-up for dinner the night before, and what we expected from BrightonSEO. By the time we were all sat on the train, I already knew quite a bit about each one of my co-workers and I was so incredibly pleased by how nice they were. We then started to discuss my previous work experience; I previously worked in another digital agency as a marketing executive and have studied marketing, communications, and business administration in my undergraduate degree in Beirut and postgraduate degree in the UK. After learning about everyone’s backgrounds – both professional and cultural – I very quickly realised what an intelligent, educated, and interesting group of individuals I was going to become part of. The event itself felt like a combination of student orientation during freshers week and comic-con all at once. We all split up as we wanted to attend different talks and sessions. I attended all the talks that I knew would add value to my new account manager role as my focus was now shifting from technical marketing (e.g. SEO technical audits, PPC bid adjustments, and remarketing tags) to a more holistic approach to online marketing and web design. I now wanted to learn more about the new tools that would improve internal processes and certain technical tasks by making them more time-efficient, as well as the new and upcoming marketing trends and how they would benefit our clients. By previously being focused on narrower tasks, was I overlooking some marketing tactics that would be useful in helping our clients reach their business goals? The answer is yes. Although some of the talks were a little déjà-vu, others were very insightful and have opened my eyes to strategies we can utilise and that can easily be integrated into our processes and offerings. However, my favourite thing about BrightonSEO was how incredibly helpful it was in re-igniting the fire and drive within me. I was already very excited to start my new job at Minttwist, but BrightonSEO was the cherry on top and was a big reminder of why I love what I do. Seeing all these individuals that are eager to learn, grow, and thrive was exactly what I needed.